I was quoted with this statement for the website "www.mastersportal.com" that helps students to find an appropriate place to study. The interview was published some time ago and featured an article about my experience moving from the largest business School in Europe - the Copenhagen Business School - to one if not the smallest University in Europe. Now as an alumnus, I can still confirm that the quote holds true. I have spoken to many students who consider studying abroad and repeatedly advise them to aim to experience true uniqueness. Moreover, I use to tell them to follow what they have a passion for, while also being aware of the persuasion of expensive advertisements or paid rankings. Since the article came out, I was humbled to be invited to meet the Prince of Liechtenstein, Hans-Adam II. at the beautiful Castle of Vaduz. We shared one of the most memorable conversations of my life and an amazing coffee. I am still honored that a head of state would take his time to talk to students. I doubt there was no topic that we did not discuss, ranging from how nationalists in Liechtenstein protested the attempted takeover of the country by Nazi Germany to the amusement park called Tivoli in Copenhagen. However, the majority of the time, we spend discussing the importance of good education. In his book entitled “The state in the third millennium”, the prince emphasizes that foreign affairs and education should be the two primary areas that require state attention. Centralized Foreign policy is practical for a nation, whereas education is always a good investment. Small classroom sizes are important as they foster an environment in which knowledge can best be shared among students from various backgrounds. Large auditoriums are not useful, hinder productive learning, and will eventually become outdated. Small classrooms shape the learning atmosphere of the University’s MSc in Finance programme. Only about 25 to 32 persons (with roughly 20 different nationalities) result in an overall student-teacher ratio of about 1:12. This excellent personal support was my favorite part about the university, coming from a school that rented cinemas in order to have capacity for more than 300 students at once. 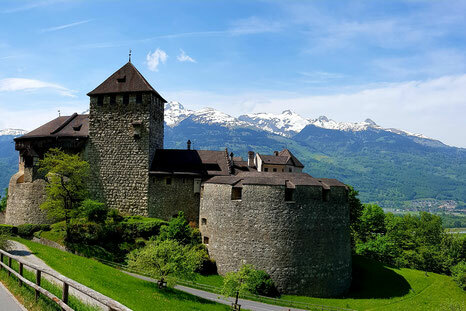 Liechtenstein is an unusual place to study. Here, students completely go out of their comfort zone to try and experience something else than their peers. This mix of different backgrounds shapes the study environment and I would recommend the university to anyone interested in finance, who strives outside the norm, and who can accommodate unfamiliar situations.